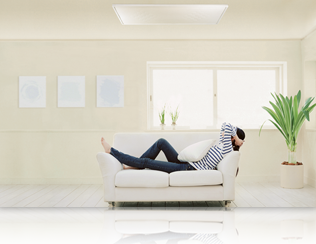 The heating panels ECORA are made for the ceiling heating of flats, apartments, industrial or business spaces. 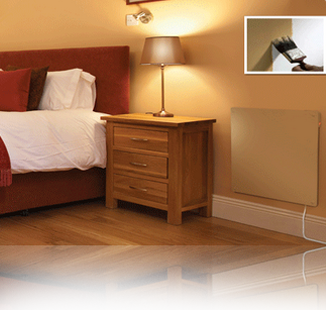 The heating panel ECORA consists of built-in heating unit NOMATERM. The Thermo solar panels, in combination with the relative power packs, allows you to enjoy your independence, providing you with the sufficient energy for the lighting and the recharge of your electronic devices. Terrace Heater was made to increase the thermal comfort while staying out in the exteriors, such as restaurant gardens, terraces or balconies of residential buildings when spring or autumn temperatures fall below +5°C. ST Thermo high-temperature radiant panels are intended primarily for the heating of industrial, storage and agricultural structures, although they can be used within any structure with a ceiling height of 3.5 m to 10 m.
Many of our customers have reported saving energy between 30- 50% thanks to our infrared radiant heating panels over conventional heating systems, including gas, oil, electric, and wood burning systems. Plus, most of our products are low-cost and require a small or close to zero investment in installation and maintenance compared traditional forced air heating systems. You would also be spending up to 75% less than if you opt for in-floor infrared radiant heating. Self-contained modules combine clean, comfortable heat and economic zone control - all without compromising the looks of your architectural or interior design! The infrared radiant panels heats in minutes, are easy to install in suspension, ceiling or wall systems, and are usable in even the most difficult-to-heat spaces. Infrared heating or radiant heating is simply the transfer of heat from a warm object to a cooler object. The heat is a product of a completely safe spectrum of light that is invisible to our eyes. Just as the sun has been heating people here on earth for thousands of years, our infrared panels emit sun-like warmth to indoor or outdoor spaces, floors, and furniture, rather than heating the air. Imagine that terrace or outdoor heating will not be an issue anymore, with our Terrace Radiant Heaters. 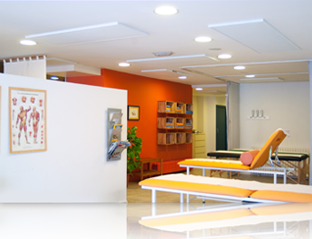 Benefit from their therapeutic effect as our Infrared Radiant Heating Systems are safer and healthier than traditional forms of heat. Not relying on fossil fuels or fans means that spreading of allergens is a matter of the past, but the best thing is: no more annoying noise. Also, there is no need for filters, fuels, ducts or pumps that require seasonal cleaning and maintenance. These technologies amount to safe, clean, low-cost energy that is friendly to both people and the environment. We offer a unique individual Infrared Radiant Heating Planning Service for homes and businesses alike. 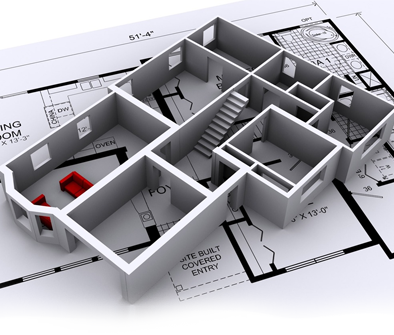 The only thing we need from you is a sketch detailing the size and shape of the space you intend to heat. We can then help you create your optimum heating concept. We are happy to help and provide knowledgeable advice regardless of the type of room you are trying to heat. Many garden offices, a therapy room, skittle alley and large halls have been successfully heated, not to mention the homes and office buildings that have benefited from our heating alternatives. 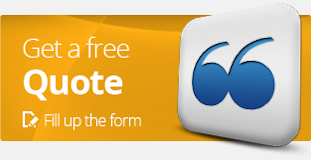 Get a free quote from one of our consultants. Infrared radiant heating is ideal in old cottages or period property where rooms can feel cold and damp, the infrared radiant wall and ceiling heating panels will help keep moisture at bay and ensure walls are not cold to touch, giving a warm and cozy feel to the rooms as these systems work by heating the objects rather than the air itself. Our planning service means picking the right size for the panels to keep the building at a comfortable temperature without costing the earth! 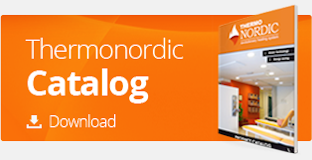 We can advise you how to use our infrared radiant heating thermostats, timers and programmers for best results.